7 months ago, I shut down my blog. I was burnt out, I was writing a second book, and I had said what I wanted to say in public for the time being. I am still writing my second book - I think erosion just lapped me - but I am ready to do more thinking in this space. You'll notice that my old content is below, and that some elements are the same, but you'll also notice that my domain name has changed. I am ready to do some writing on a wider variety of topics. I suspect that I am different from who I was last June, and that will be reflected in my content and style. 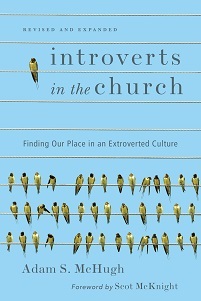 But I am also still a spiritual director, a hospice chaplain, and yes, an introvert, and you can expect that I will be discussing all those features of my life. I am writing a book on listening, after all. But you will be getting more of Adam S. McHugh than you did before. There is something else you should know about me, something which I have admittedly hidden a bit because of my fear that some Christians will look askew. I am absolutely crazy about wine. My parents introduced me to wine in my early 20s. What was once something to drink on a date became a hobby which became a full-bodied passion and is now becoming a potential career. But quaffing wine is only the beginning for me. Wine has taken me deep into the history of the Christian tradition, through current liturgical practice to medieval monasteries all the way back to the rich symbolism of wine in early Christianity and Judaism and other ancient cultures. Wine runs like a red blood vessel into the heart of our heritage, and even through western civilization over the last 8000 years. For me, wine and spirituality are not at odds. They are a perfect pairing. My third book will be on that subject, and I have been dreaming recently of starting a retreat center for spiritual direction and wine education. Someone suggested the name "Wine and Spirit." 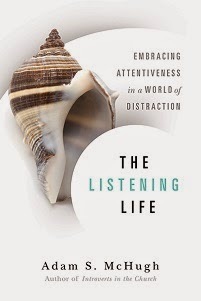 For now, most of my attention is caught up with the last three chapters on what I hope will be called "The Listening Life." I am happy to be back, and I am grateful for my friends who have been encouraging me to return to a public space. Truth be told, I feel a little rusty, and it may take me a while to get back into form. What I do know is that this will be a constructive and contemplative space, and I won't devote much time to whatever controversies are roiling in the blogosphere, since those exhaust me. I will likely be making some formatting changes over the next days and weeks, like going back to Disqus comments, and if you have any suggestions send them my way. You'll also need to subscribe to the new feed, since the old one has been deleted. Welcome back friends. It's gonna be a good life.